An average steer weighs 1,150 pounds. 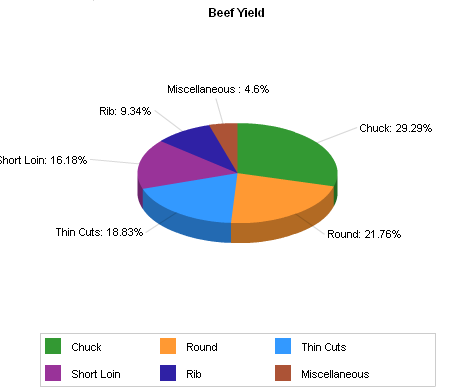 An average yield of 62% produces a 715 pound dressed weight carcass. A dressed carcass will yield approximately 569 pounds of red meat and trim.